application (Pauly and Keegstra 2008). To achieve this, various pretreatment technologies have been explored for better sugar release performance during enzymatic hydrolysis, such as thermal, biochemical, mechanical, and biological treatments (Murnen et al. 2007). Pretreatment is the key to disrupt or remove the cross-linked matrix of lignin and hemicelluloses that embeds the microfibrils, as well as to increase the porosity and surface area of substrates for enhancing enzymatic digestibility (Mosier et al. 2005). Considering the presence of lignin is one of the primary barriers to efficient enzymatic breakdown of biomass to sugars, the alkaline delignification pretreatment has drawn much attention in past decades (McIntosh and Vancov 2011; Nlewem and Thrash Jr. 2010; Sendich et al. 2008). 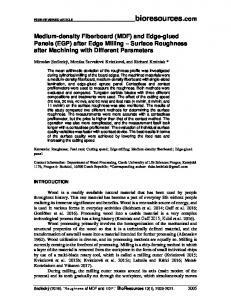 A wealth of information on the selection of operating conditions and design of pretreatment equipments has been explored in the literature (Persson et al. 2009; Saha and Cotta 2006; Varga et al. 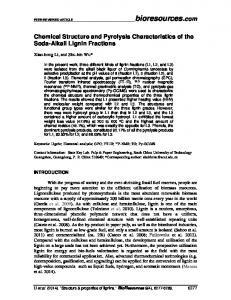 2002), yet there is no consensus about the mechanism of alkali pretreatment at the cellular level. In addition, its performance on cell walls may vary with feedstock types. 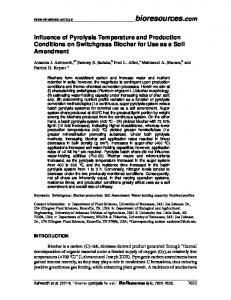 The knowledge of how poplar tissues respond to alkali pretreatment and affect the subsequent enzymatic hydrolysis is still lacking. The insufficient information on this issue provides motivation to improve the understanding of specific chemical and physical attributes of plant cell walls under pretreatment. Mooney et al. (1998) suggested that in addition to the amount of components, their location was another important factor affecting hydrolysis. For instance, the globular structure rich in hemicelluloses and lignin on a cell wall surface may have detrimental impacts in the enzymatic hydrolysis by limiting enzyme access to cellulose as physical barrier and tending to irreversibly bind to enzymes (Chu et al. 2010). 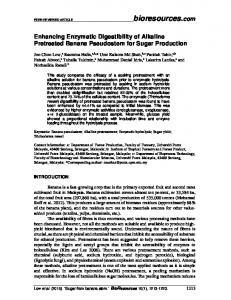 Furthermore, a current study proposed a new viewpoint that apart from lignin, the precursors of lignin defined as coniferyl alcohol and aldehyde (joint abbreviation ligninCAA for both structures) have been shown to inhibit the process of pretreatment and enzymatic degradation of cell walls (Grabber 2005; Hänninen et al. 2011). 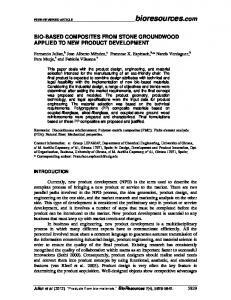 In earlier studies, a better understanding of the synthesis of biomass lignin and lignin-CAA was developed, while a few studies focused on the fate of lignin and lignin functional groups during pretreatment due to their relatively effortless distinction in the wood and deficiency in the tools. We report here a new approach employing confocal Raman microscopy to spatially map the ring-conjugated ethylene units distribution (Agarwal 1999; Agarwal and Ralph 2008), as well as lignin and cellulose in plant cell walls without any need for destructive handling and fixative procedures. With advantages of label-free and simple operation, it has a high sensitivity for providing position-resolved images based on a characteristic Raman band. In the present study, a broader look at how poplar cell wall structure is modified in response to alkali pretreatment was carried out by Raman imaging and scanning electron microscopy. Specifically, we determined the dynamic distribution of lignin and lignin-CAA, the cellulose microfibril orientation, as well as the sugar release performance to dig out the relation between microscopic structure and enzymatic digestibility of alkali pretreated poplar. To our knowledge, it is the first attempt to unfold the cellulose molecular changes following pretreatments by Raman imaging. The direct visualization of these real-time modifications at a cellular level is bound to yield fresh knowledge on the mechanism of alkali pretreatment and its efficiency for resultant enzymatic hydrolysis, whereby an integrated and efficient industrial process can be tailored for specific purposes. where I002 is the counter reading at peak intensity at a 2θ angle close to 22° and Iam is the counter reading at peak intensity at a 2θ angle close to 16° in cellulose. I002 − Iam is the intensity of the crystalline peak and I002 is the total intensity after subtraction of the background signal measured without cellulose. Iam represents the amorphous portion. Enzymatic Hydrolysis The native and pretreated poplar samples were enzymatically hydrolyzed in a 0.1 M sodium acetate buffer with a pH of 4.8 at a biomass loading of 10% (w/v) in an airshaking incubator maintained at 50 oC at 150 rpm for 48 h. Commercial cellulase was purchased from Sigma-Aldrich (Shanghai, China) and employed at the activity of 15 FPU/g substrate for all samples. The reactions were monitored by taking 100 μL supernatant at specific time intervals, followed by deactivation of the enzymes in boiling water for 10 min and centrifugation at 10,000 g for 5 min. The released monosaccharides were analyzed by high-performance anion exchange chromatography (HPAEC) (Dionex, ISC 3000, USA) equipped with an electrochemical detector and CarboPac PA 20 analytical column (4 × 250 mm, Dionex). Results are expressed as percentage of the total cellulose in the substrate. Error bars show the standard deviation of triplicate measurement. All assays were performed in triplicate. Error bars showed the standard deviation of triplicate measurements. lignin-CAA. 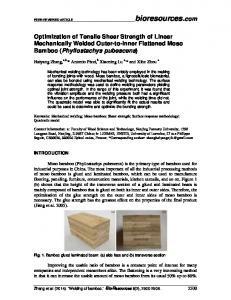 The corresponding Raman bands of cellulose were mostly localized at 380, 1096, and 1121 cm-1, which were known for contribution of β-D-glucosides and asymmetric and symmetric stretching vibration of C-O-C linkages, respectively. Although only the 380 cm-1 band has contribution from cellulose alone, it was not chosen to construct the localized Raman images due to the low signal-to-noise ratio. Considering the sensitivity of the peak at 1096 cm-1 to the cellulose molecule orientation, the 1090 to 1105 cm-1 region was used to screen the dynamic changes of cellulose distribution (Fig. 6), whereas hemicelluloses have remained undetected due to their low content and overlapping with stronger bands of other components (Agarwal and Ralph 1997). relatively low-density structure (Donaldson 2001; Wang et al. 2012) and partly because of the diverse reactivity of different lignin units in various regions (Wang et al. 2012). CAA Distribution Revealed by Raman Imaging As an important precursor of lignin, the distributional changes of lignin-CAA during alkali pretreatment were also investigated by Raman imaging. Focusing on the region of 1640 to 1665 cm-1, lignin-CAA images were generated and are shown in Fig. 4. Prior to alkali pretreatment, the heterogeneous intensity distribution was obtained within cell walls, resembling the pattern of lignin. In other words, the enrichment of lignin-CAA was localized in the lignin-enriched region CCML, whereas lignin-CAA showed an obvious deficiency in the S2, which was full of cellulose. The correlation between the distribution of lignin-CAA and of lignin in raw poplar demonstrated a linear trend at the cellular level. This finding coincided with the fact that poplar lignin in the CCML is enriched in guaiacyl units that were derived from lignin-CAA, whereas lignin in the secondary wall is typically replenished with syringyl units (Donaldson 2001; Wang et al. 2012). 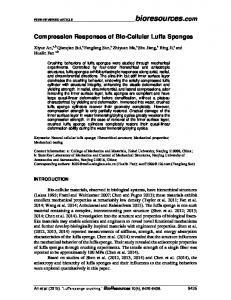 In comparison, a previous study on phloroglucinol-HCl-stained spruce by ultraviolet-visible microscopy has shown higher lignin-CAA moieties in the primary wall and S1 (Peng and Westermark 1997). Meanwhile, another report on Picea mariana with respect to Raman imaging revealed no distinctions in the lignin-CAA contents within different wall layers (Agarwal 2006). Additionally, a recent study on compression wood of Pinus bungeana Zucc., also using Raman imaging, demonstrated that the high intensity of lignin-CAA was predominately localized in the S1 and S2 regions (Zhang et al. 2012). These discrepancies concerning the relationship between lignin and ligninCAA distribution may be species-dependent. During alkali pretreatment, the changes in lignin-CAA distribution exhibited very similar features to that of lignin. Pretreatment for 20 min decreased the average Raman intensity, while the residual concentration in the CCML was still somewhat higher than that in the S2 regions and, additionally, the boundary of CML was indistinguishable (Fig. 4B). At later stages of pretreatment, the average signal intensity of total cell areas tended to disappear, while a small portion of lignin-CAA was still locked in the CCML regions (Fig. 4C). To semi-quantify the variations in lignin-CAA distribution within poplar cell walls, Raman spectral analysis was employed based on Fig. 3. As shown, along with the prominent decrease of the 1595 cm−1 band, great changes in the height of the 1653-cm−1 peak were observed in various morphologically distinct regions upon alkali pretreatment. This indicated that there was an accompanied correlation between the removal of lignin and lignin-CAA structures. Statistically, alkali pretreatment for 60 min caused intensity reductions in the range of 39% (in the CCML) to 67% (in the S2). It should be noted that there existed obvious alterations in the shape of the 1653 cm−1 band accompanied by a Raman shift to higher frequencies, particularly in the CCML and CML areas. One possible explanation is that new chemical structures generated in the process may have a Raman band at that wavenumber area, influencing the original peaks; i.e., p-quinones contributing in the range of 1660 to 1690 cm−1 (Agarwal et al. 2011). Model compound studies would be required to comprehensively address this alteration. As previously reported, lignin is generally cross-linked with hemicelluloses that embed cellulose fibers (Abud et al. 2013), and lignin-CAA associates with the hydroxyl groups of cellulose and hemicelluloses via hydrogen bonding within cell walls (Grabber 2005). These features give rise to a mesh-like structure of plant cell walls, which contributes to the biomass recalcitrance and influences its utilization, especially for pretreatment and subsequent enzymatic degradation. Therefore, disrupting the crosslinked structures and thus increasing the accessibility of polysaccharides fractions in biomass are the prerequisites for efficient bioconversion. The holistic overview of compositional changes we have stated above will further accelerate the understanding of alkali pretreatment mechanism and the development of cost-competitive bioconversion. Cellulose Orientation Revealed by Raman Imaging Knowing that cellulose is a crystalline polymer and is highly oriented, restricting integration to the orientation-sensitive band at 1096 cm-1 could differentiate various orientations of the cellulose molecules and thereby work out the differences between samples. Before alkali pretreatment, a small layer representing the S1 was clearly separated from cell walls with higher signal intensity than the other regions because of a stronger horizontal vibration of C-O-C stretching with respect to the polarized direction in these areas (Fig. 5A). It should be noted that artifacts caused by cellulose microfibril orientation manifest themselves as darker (Y-direction) and brighter (X-direction) areas in the S1 layers. This phenomenon has been elaborated earlier by Wiley and Atalla (1987) and utilized widely in Raman imaging by Gierlinger et al. (2006). During pretreatment, the Raman signal intensity in the S1 increased along with pretreatment time, while there were no obvious changes in the other morphological regions, including the CCML and S2. From a spectral perspective, if a cellulose microfibril is aligned parallel to the fiber axis in the transverse section, the observed C-OC stretching vibration as a vertical backbone in the laser polarization direction shows low intensity, whereas the side chain methylene groups perpendicularly arranged with cellulose molecules are in plane with the incident light and present high intensity (Agarwal and Atalla 1986). In other words, when cellulose microfibrils are aligned with high microfibril angles as in the S1, the C-O-C stretching becomes more perpendicular to the fiber axis, thus enhancing the Raman signal in the laser polarization direction, as in the pretreated samples (Fig. 5C). FE-SEM Analysis FE-SEM images of untreated and alkali-pretreated poplar sections taken at various magnifications are shown in Fig. 6. Results showed that the raw materials had a highly intact morphology and relatively smooth cell wall surface (Fig. 6a). However, the cell wall structure was disrupted by alkali pretreatment with formation of holes and cracks on the biomass surface, especially at the boundary between CCML and secondary wall (Figs. 6b-e), whereas the original cell outline was still preserved. It is well known that lignin is essential to the structural integrity of cell walls, as well as the stiffness of plant stem and root. As a result of alkali pretreatment, lignin was largely removed from the S2; thus the natural structural traits were tailored for deconstruction. 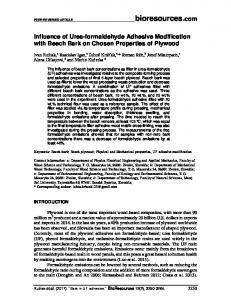 Moreover, hemicelluloses referred to as an adhesive in cell walls are enriched in the boundary of layers (Hoffmann and Parameswaran 1976). Thereby partial dissolution of hemicelluloses under alkali pretreatment further contributed to the disruption in boundary areas (McIntosh and Vancov 2011). 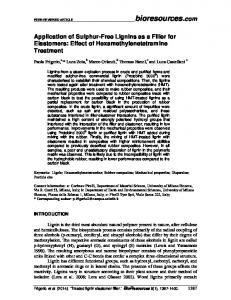 Nevertheless, the residual lignin in the CCML and cellulose, which was considered the scaffold of cell wall structure, was still confined within cell walls to retain its original cell outline. To be clear, though slight crevices on the surface of thin cross sections induced by sampling preparation cannot be discarded, the cracks in pretreated samples were indicative of structural changes mainly due to the alkali pretreatment, which was closely related to cellulose digestibility. 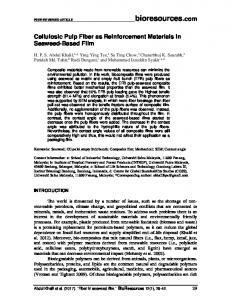 It has been reported that the specific surface area and the mean pore size play an important role in terms of cellulase adsorption on the cellulose surface and subsequent enzymatic deconstruction (Grethlein 1985; Yang and Wyman 2006). During alkali pretreatment, the removal of lignin and development of cracks not only could increase the cellulose fibril accessibility, but also provided more available enzyme binding sites, which therefore substantially accelerated the biodegradation process. 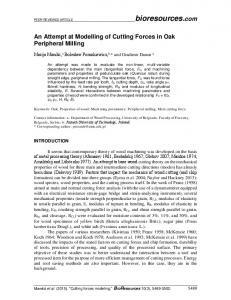 These results suggest that effective pretreatment is essential to open the plant cell wall structure and expose cellulose fibrils, facilitating the hydrolysis yields of alkali pretreated biomass as discussed as follows. Enzymatic Hydrolysis of Pretreated Poplar Enzymatic hydrolysis of both untreated and alkali pretreated poplar to reducing sugar was carried out to compare their hydrolysis kinetics and cellulose digestibility. Figure 7 shows the cellulose digestibility profiles for untreated and pretreated samples at the enzyme loading of 15 FPU/g substrate. As expected, for untreated wood low hydrolysis ratio (30.3%) was observed within 48 h, whereas alkali treated poplar for 20 min achieved higher saccharification kinetics, with cellulose digestibility reaching 42.6% over the same time interval. After progressive pretreatment for 60 min, a maximum improvement of 21.6% in glucose yield was observed as compared with raw materials and up to 53.7% after 72 h of hydrolysis. Similar to the increase in glucose yield for the pretreated samples, the xylose release performance was also greatly enhanced (Table 1). Although it was not the immediate substrate target of the cellulase cocktail, xylose was considerably liberated from the pretreated biomass by the contaminating xylanhydrolyzing enzymes present in the commercial enzyme preparation. The overall improvement in hydrolysis rates and yields from pretreated polar was speculated to be attributable to the reduced lignin and lignin-CAA content, as well as the cracks formation. The modifications degraded the biomass recalcitrance and provided an enhancement in cellulose surface area for enzyme binding sites, and thus facilitating the cellulose digestibility of pretreated samples. The results suggested a strong correlation between the efficiency of enzymatic conversion and the topochemistry and structure of plant cell walls. CONCLUSIONS 1. There was a positive correlation between the removal of lignin and lignin-CAA during alkali pretreatment, such that the both structures were preferentially removed from the S2 regions of fibers. 2. 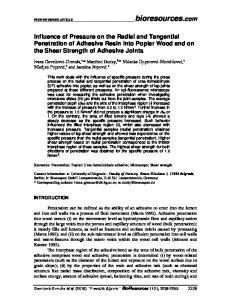 Pretreatment with alkali enlarged the microfibril angle, particularly in the S1 layer, as the residence time increased. 3. The formation of cracks on biomass surfaces that were adjacent to the boundary of CCML and S during alkali pretreatment could accelerate cellulose accessibility and subsequent enzymatic hydrolysis. 4. The ultrastructural and topochemical changes during alkali pretreatment greatly enhanced the rates and yields of enzymatic hydrolysis. However, considering that the samples used for microscopic measurements were 6-μm-thick cross sections, the differences between the results achieved by treating sectioned samples and sectioning samples should be taken into consideration. ACKNOWLEDGMENTS We gratefully acknowledge financial support from the National Science Fund for Distinguished Young Scholars (31225005) and the Chinese Ministry of Education (113014A). Additionally, the authors are grateful to the kind support from the Committee of the 4th Conference on Biorefinery towards Bioenergy (ICBB2013) in Xiamen, China. 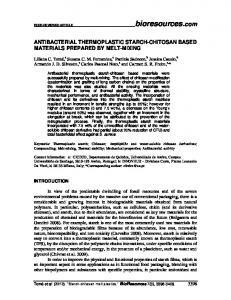 REFERENCES CITED Abud, Y., Costa, L. T., Souza, W., and Sant’Anna, C. (2013). “Revealing the microfibrillar arrangement of the cell wall surface and the macromolecular effects of thermochemical pretreatment in sugarcane by atomic force microscopy,” Ind. Crops Prod. 51(1), 62-69. Agarwal, U., and Atalla, R. (1986). "In-situ Raman microprobe studies of plant cell walls: Macromolecular organization and compositional variability in the secondary wall of Picea mariana (Mill.) BSP," Planta 169(3), 325-332. Agarwal, U. P. (1999). "An overview of Raman spectroscopy as applied to lignocellulosic materials," in: Advances in Lignocellulosics Characterization, D. S. Argyropoulos (ed. ), TAPPI Press, Atlanta, Georgia. Agarwal, U. P. (2006). "Raman imaging to investigate ultrastructure and composition of plant cell walls: Distribution of lignin and cellulose in black spruce wood (Picea mariana)," Planta 224(5), 1141-1153. Agarwal, U. P., McSweeny, J. D., and Ralph, S. A. (2011). 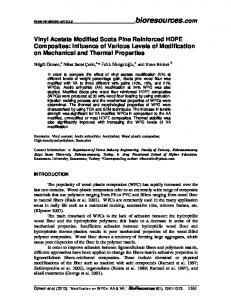 "FT–Raman investigation of milled-wood lignins: Softwood, hardwood, and chemically modified black spruce lignins," J. Wood Chem. Technol. 31(4), 324-344. Agarwal, U. P., and Ralph, S. A. (2008). 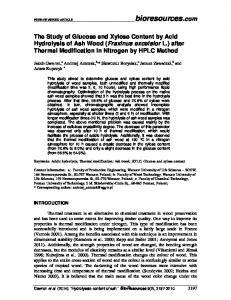 "Determination of ethylenic residues in wood and TMP of spruce by FT-Raman spectroscopy," Holzforschung 62(6), 667-675. Agarwal, U. P., and Ralph, S. A. (1997). "FT-Raman spectroscopy of wood: Identifying contributions of lignin and carbohydrate polymers in the spectrum of black spruce (Picea mariana)," Appl. Spectrosc. 51(11), 1648-1655. Ben Sghaier, A. E. O., Chaabouni, Y., Msahli, S., and Sakli, F. (2012). "Morphological and crystalline characterization of NaOH and NaOCl treated Agave americana L. fiber," Industrial Crops and Products 36(1), 257-266. Chu, L.-Q., Masyuko, R., Sweedler, J. V., and Bohn, P. W. (2010). 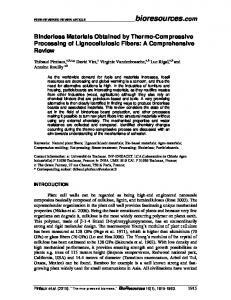 "Base-induced delignification of Miscanthus x giganteus studied by three-dimensional confocal raman imaging," Bioresour. Technol. 101(13), 4919-4925. Ciesielski, P. N., Resch, M. G., Hewetson, B., Killgore, J. P., Curtin, A., Anderson, N., Chiaramonti, A. N., Hurley, D. C., Sanders, A., and Himmel, M. E. (2014). "Engineering plant cell walls: Tuning lignin monomer composition for deconstructable biofuel feedstocks or resilient biomaterials," Green Chemistry 16(5), 2627-2635. Donaldson, L. A. (2001). "Lignification and lignin topochemistry—An ultrastructural view," Phytochemistry 57(6), 859-873. Donaldson, L. A., and Knox, J. P. (2012). "Localization of cell wall polysaccharides in normal and compression wood of radiata pine: Relationships with lignification and microfibril orientation," Plant Physiology 158(2), 642-653. Gierlinger, N., and Schwanninger, M. (2006). "Chemical imaging of poplar wood cell walls by confocal Raman microscopy," Plant Physiology 140(4), 1246-1254. Grabber, J. H. (2005). "How do lignin composition, structure, and cross-linking affect degradability? 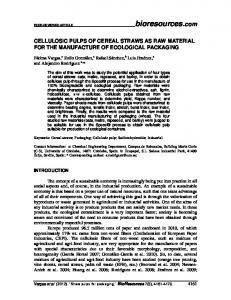 A review of cell wall model studies," Crop Science 45(3), 820-831. Grethlein, H. E. (1985). "The effect of pore size distribution on the rate of enzymatic hydrolysis of cellulosic substrates," Nat. Biotechnol. 3(2), 155-160. Hänninen, T., Kontturi, E., and Vuorinen, T. (2011). "Distribution of lignin and its coniferyl alcohol and coniferyl aldehyde groups in Picea abies and Pinus sylvestris as observed by Raman imaging," Phytochemistry 72(14), 1889-1895. Hoffmann, P., and Parameswaran, N. (1976). "On the ultrastructural localization of hemicelluloses within delignified tracheids of spruce," Holzforschung 30(2), 62-70. Holopainen-Mantila, U., Marjamaa, K., Merali, Z., Käsper, A., Bot, P. D., Jääskeläinen, A.-S., Waldron, K., Kruus, K., and Tamminen, T. (2013). "Impact of hydrothermal pre-treatment to chemical composition, enzymatic digestibility and spatial distribution of cell wall polymers," Bioresour. Technol.138, 156-162. Kumar, R., Mago, G., Balan, V., Wyman, C.E. (2009). "Physical and chemical characterizations of corn stover and poplar solids resulting from leading pretreatment technologies," Bioresour. Technol. 100(17), 3948-3962. Ma, J., Zhou, X., Zhang, X., and Xu, F. (2013). 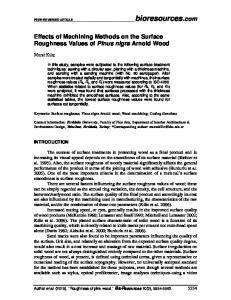 "Label-free in situ Raman analysis of opposite and tension wood in Populus nigra," BioResources 8(2), 2222-2233. McIntosh, S., and Vancov, T. (2011). "Optimisation of dilute alkaline pretreatment for enzymatic saccharification of wheat straw," Biomass Bioenergy 35(7), 3094-3103. Mosier, N., Wyman, C., Dale, B., Elander, R., Lee, Y., Holtzapple, M., and Ladisch, M. (2005). 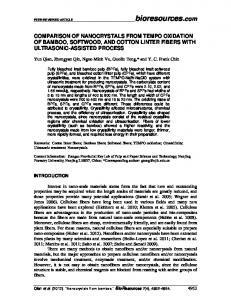 "Features of promising technologies for pretreatment of lignocellulosic biomass," Bioresour. Technol. 96(6), 673-686. Murnen, H. K., Balan, V., Chundawat, S. P., Bals, B., Sousa, L. D. C., and Dale, B. E. (2007). "Optimization of ammonia fiber expansion (AFEX) pretreatment and enzymatic hydrolysis of Miscanthus x giganteus to fermentable sugars," Biotechnol. Progr. 23(4), 846-850. Nlewem, K. C., and Thrash Jr., M. E. (2010). 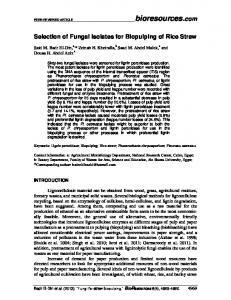 "Comparison of different pretreatment methods based on residual lignin effect on the enzymatic hydrolysis of switchgrass," Bioresour. Technol. 101(14), 5426-5430. Pauly, M., and Keegstra, K. (2008). "Cell-wall carbohydrates and their modification as a resource for biofuels," The Plant Journal 54(4), 559-568. Peng, F., and Westermark, U. (1997). "Distribution of coniferyl alcohol and coniferaldehyde groups in the cell wall of spruce fibres," Holzforschung 51(6), 531536. Persson, T., Ren, J. L., Joelsson, E., and Jönsson, A.-S. (2009). "Fractionation of wheat and barley straw to access high-molecular-mass hemicelluloses prior to ethanol production," Bioresour. Technol. 100(17), 3906-3913. Saha, B. C., and Cotta, M. A. (2006). "Ethanol production from alkaline peroxide pretreated enzymatically saccharified wheat straw," Biotechnol. Progr. 22(2), 449453. 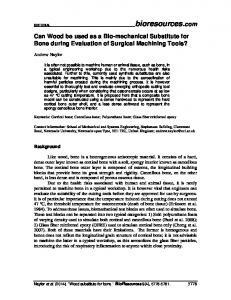 Sendich, E. N., Laser, M., Kim, S., Alizadeh, H., Laureano-Perez, L., Dale, B., and Lynd, L. (2008). "Recent process improvements for the ammonia fiber expansion (AFEX) process and resulting reductions in minimum ethanol selling price," Bioresour. Technol. 99(17), 8429-8435. Shomer, I., Frenkel, H., and Polinger, C. (1991). "The existence of a diffuse electric double layer at cellulose fibril surfaces and its role in the swelling mechanism of parenchyma plant cell walls," Carbohydr. Polym. 16(2), 199-210. Somerville, C., Bauer, S., Brininstool, G., Facette, M., Hamann, T., Milne, J., Osborne, E., Paredez A., Persson, S., and Raab, T. (2004). "Toward a systems approach to understanding plant cell walls," Science 306(5705), 2206-2211. Ucar, G. (1990). 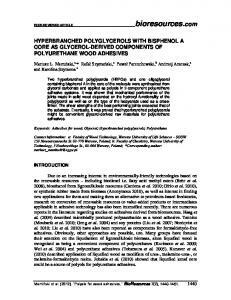 "Pretreatment of poplar by acid and alkali for enzymatic hydrolysis," Wood Sci. Technol. 24(2), 171-180. Varga, E., Szengyel, Z., and Réczey, K. (2002). "Chemical pretreatments of corn stover for enhancing enzymatic digestibility," Appl. Biochem. Biotechnol. 98(1-9), 73-87. Vian, B. (1982). "Organized microfibril assembly in higher plant cells," in: Cellulose and Other Natural Polymer Systems, R. M. Brown (ed. ), Plenum, New York. 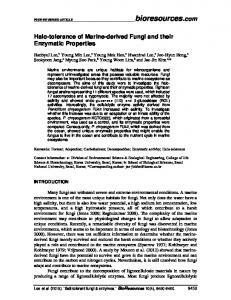 Wang, Z., Li, R., Xu, J., Marita, J. M., Hatfield, R. D., Qu, R., and Cheng, J. J. (2012). "Sodium hydroxide pretreatment of genetically modified switchgrass for improved enzymatic release of sugars," Bioresour. Technol. 110(54), 364-370. Wiley, J. H., and Atalla, R.H. (1987). "Band assignments in the Raman spectra of celluloses," Carbohydr. Res. 160(2), 113-129. Yang, B., and Wyman, C. E. (2006). "BSA treatment to enhance enzymatic hydrolysis of cellulose in lignin containing substrates," Biotechnol. Bioeng. 94(4), 611-617. Zhang, Z., Ma, J., Ji, Z., and Xu, F. (2012). "Comparison of anatomy and composition distribution between normal and compression wood of Pinus bungeana Zucc. revealed by microscopic imaging techniques," Microsc. Microanal. 18(6), 1459-1468. Article submitted: January 17, 2014; Peer review completed: March 3, 2014; Revised version received and accepted: May 16, 2014; Published: May 20, 2014.